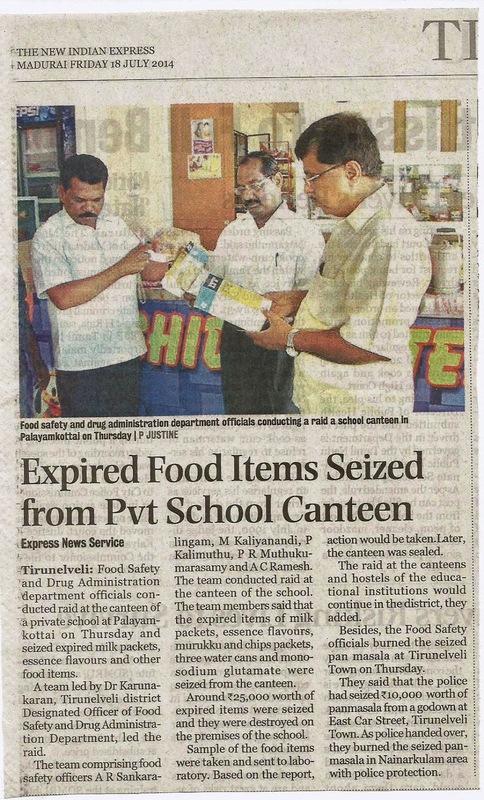 A team of officials attached to the Department of Food Safety raided a school canteen in Palayamkottai on Thursday and seized a huge quantity of eatables not fit for human consumption. Following complaints from parents, a team, led by Designated Officer M. Karunakaran, checked the canteen of a leading school on Tiruchendur Highway to find huge stocks of biscuits, snacks, candies, chocolates and ‘rose milk’ powder that had crossed the date of expiry in 2011. “Though the use of mono sodium glutamate in any food stuff has been banned, the canteen people were seen using it in fried rice and other eatables. 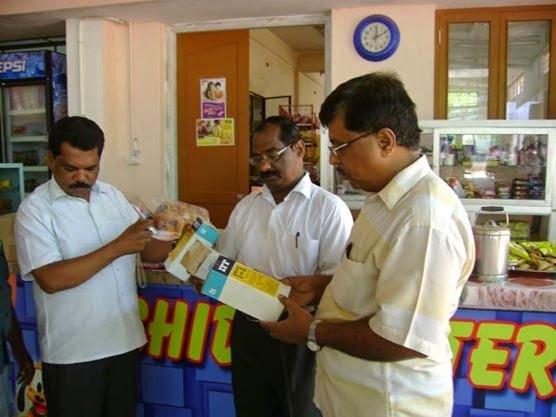 We seized a pack of mono sodium glutamate from the canteen,” said A.R. Sankaralingam, Food Safety Officer, who was part of the team. The 20 litre drinking water cans without manufacturing details were also confiscated.Two food samples taken from the canteen were sent for analysis and further course of legal action, if any, would follow based on analysis report. When asked if the officials would conduct similar check in a few more canteens in schools, Dr. Karunakaran said it would be done in a phased manner. “We’ve planned to check school and college canteens and hostels of educational institutions in the days to come,” he said. The canteen was sealed immediately. i'd like the food inspection authorities to visit Perungudi near RMZ Millenia (that full stretch of road). The food is exposed to the sewer, pollution and what not and everybody goes there in throngs. Illness waiting to happen. STRINGENT STEPS TO SAVE COURTALLAM.